Canards des Monts inc., is an agricultural business specializing in the commercialization of day-old Mulard ducklings. The company is created in 2013 by four farmers: Serge Delaunay, Jean-Luc Delaunay, Pascal Fleury and Francette Fleury, who gathered their knowledge and expertise. They have been in the duck business, particularly the Mulard duck business and the foie gras production, since the 80's. They are part of the pioneers of the foie gras business in Quebec. 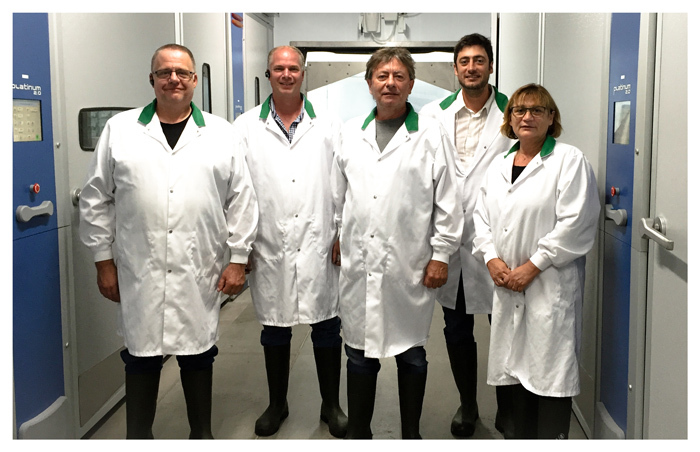 Jean Luc and Serge are farming and reproduction specialists, Pascal and Francette of fattening and marketing. In 2014, the breeding farm is born in Ste-Hélène-de-Bagot, in collaboration qith Orvia, using their Mulard duckling performant strain. In May of 2016, their hatchery opens, under federal inspection.